Set the pot on a maximum heat and melt butter. Add the whole sugar and 2 spoons of heavy cream. Boil while ocassionally stirring until the mixture gets bubbly, and continue stirring and boiling until it deepens in colour. Take the mixture off the heat and slowly pour the rest of the heavy cream. Be careful, because it will steam a bubble a lot, so make sure you're not leaning over the pot! Keep mixing gently until the sugar mixture and heavy cream mix completely, but don't stir because air bubbles will form! Keep mixing until the temperature of the butterscotch drops to about 65-70°C, you can use water bath to speed this process up. 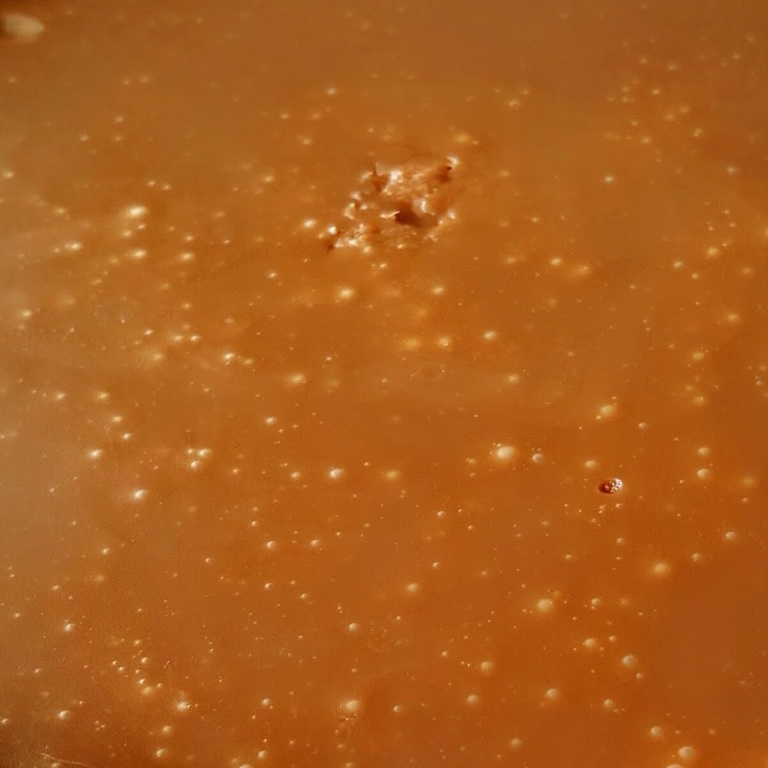 At this moment your butterscotch is ready as a custard that will set to nice, smooth cream, but you may adjust the consistency with extra heavy cream or milk.